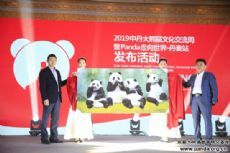 2019 China Denmark Giant Panda Cultural Exchange Week & Panda Travelling the World · Denmark was released in Chengdu on April 4, 2019. Chengdu giant pandas Xing Er and Mao Er left for Denmark on April 4 and began international cooperation on giant panda scientific research protection that will last for fifteen years. Taking this opportunity, under the leadership and support of leaders at the national, provincial, and municipal levels, Chengdu Research Base of Giant Panda Breeding joined hands with relevant agencies and organizations in China and from Denmark to launch the 2019 China Denmark Giant Panda Cultural Exchange Week & Panda Travelling the World • Denmark activities by taking the chance of China-Denmark international cooperation and exchange on giant pandas. 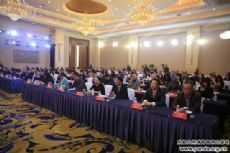 The project is included in the 2019 Key Cultural Communication Projects that will be advanced under the leadership of the Propaganda Department of the Central Committee of the CPC. With giant pandas at its core, this activity spreads tales about the giant pandas and demonstrates the characteristic Chinese culture represented by giant pandas. It is composed of three series of activities: Giant Panda and the World—Achievement Exhibition of Protection, Culture, and Art of Chinese Giant Pandas, the children's musical Panda Fairy Tale, and the China-Denmark Giant Panda Concert. The Giant Panda and the World—Achievement Exhibition of Protection, Culture, and Art of Chinese Giant Pandas will open at the National Museum of Denmark, with exhibition to be held at the museum and Copenhagen Zoo during April 11 and April 14. The exhibition, focusing on giant pandas, consists of two parts: Achievement Exhibition of Protection of Chinese Giant Pandas and Chinese Giant Panda Culture, and Art Exhibition. They will demonstrate the achievements made in the protection, culture, and art of giant pandas from different perspectives, emphasizing the immersive experience and interactions for visitors, and displaying giant panda culture in a vivid and interesting way. The children's musical Panda Fairy Tale is the first of its kind with a giant panda theme in the world is originally produced by the Chengdu Research Base of Giant Panda Breeding. Against the backdrop of Xing Er and Mao Er leaving for Denmark, and the beginning of international cooperation in giant panda research, it combines cultural elements of both China and Denmark. The performers are children from both countries. Four performances will be held at the Copenhagen Zoo, SAG Music Theatre, ZEPPELIN Airship and Frederiksberg Public Library from April 9 to April 13. Two cultural and artistic exchange performances are organized at Copenhagen New Dutch School and K��ge Private Realskole. The Giant Panda Suite China-Denmark Giant Panda Concert will be held by the Chengdu Research Base of Giant Panda Breeding, Central Conservatory of Music, Danish Confucius Institute, and the Philharmonic Orchestra in both Denmark and China. The Denmark leg will begin at the Panda House of Copenhagen on April 10 and performed at the Concert Hall of Royal Danish Conservatory of Music in Copenhagen on April 26. The China leg will be held at the Cloud Concert Hall of the China-Europe Center and the Concert Hall of the Central Conservatory of Music in Beijing in May. The year 2019 is the 150th anniversary of giant pandas going abroad. The 2019 China Denmark Giant Panda Cultural Exchange Week will be open to the public in Denmark soon. The hope that the Danish public will come to better understanding China and giant pandas after attending the activities. 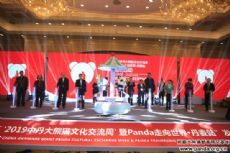 At the end of the activity, the major leaders present will press the giant panda fairy tale music box and witness the official launch of the 2019 China Denmark Giant Panda Cultural Exchange Week & Panda Travelling the World • Denmark with the other guests.